The 50 souls who died in a bloody massacre in New Zealand a week ago were on the minds of Muslims everywhere as they gathered today for Friday prayers. For many, it was the first opportunity to grieve as a group and try to move forward from the horrors of last week. In the Toronto area, members of the Jewish community formed a ring of peace around mosques in a show of solidarity. 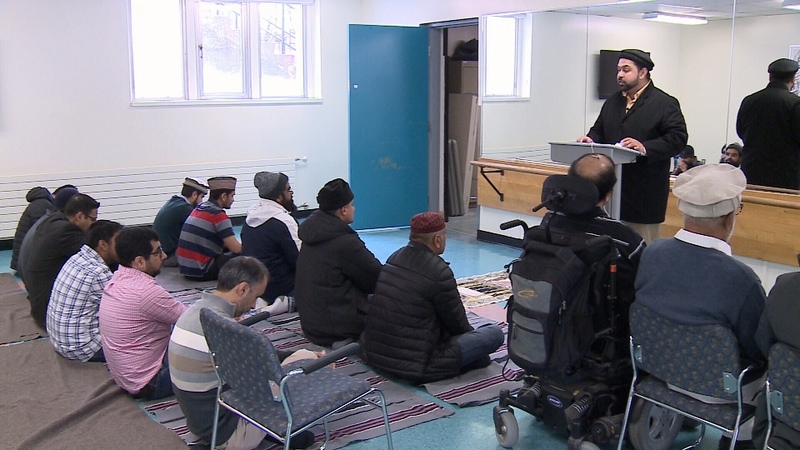 Here in Ottawa mosques opened their doors in an effort to shut down the rise in Islamophobia. In New Zealand today, one week after that horrific massacre thousands of people converged in a park across from the mosque where dozens died. They were joining Muslims in prayer. Among them was the country's Prime Minister Jacinda Ardern. A moment of silence was followed by a call to prayer, something echoed around the world including here in Ottawa. As Muslims gathered inside to pray at a room in the Sandy Hill Community Centre, Mamoon Malik was thinking about whether he should be standing outside as a lookout. Malik served 41 years with the Canadian Forces and works with National Defence now. That military training was kicking in. Some congregants at mosques across Canada are calling for armed guards after New Zealand's attack. Imam Luqman Ahmed, with the Ahmadiyya Muslim Community of Ottawa agrees and hopes to counter fear with mutual respect. There are already signs of that. In the Greater Toronto area, hundreds of members of the Jewish community formed a ring of peace around mosques as a barrier to keep out the hate. Sadly, as a sign of the times, a seminar is being held Saturday in Ottawa to teach civilians how to survive terrorist attacks like the one in New Zealand. The course was sold out within a week of being announced. Ahmadiyya Muslim Community of Ottawa in prayers.